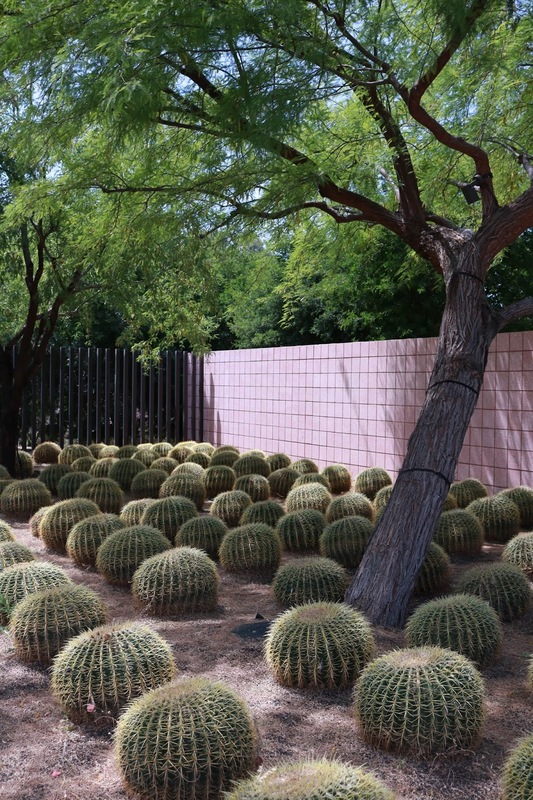 This cacti garden was an entrance to one of the Desert X exhibits, which was unfortunately closed. 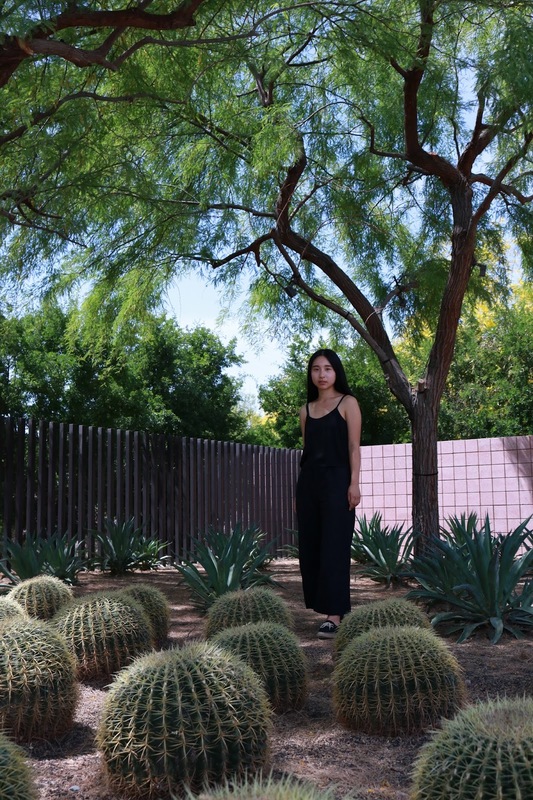 Growing up in San Francisco, I rarely ever saw cacti due to the frigid weather. Upon moving to Los Angeles, I feel so happy to be able to see cacti everywhere. I absolutely love the vibe it gives! 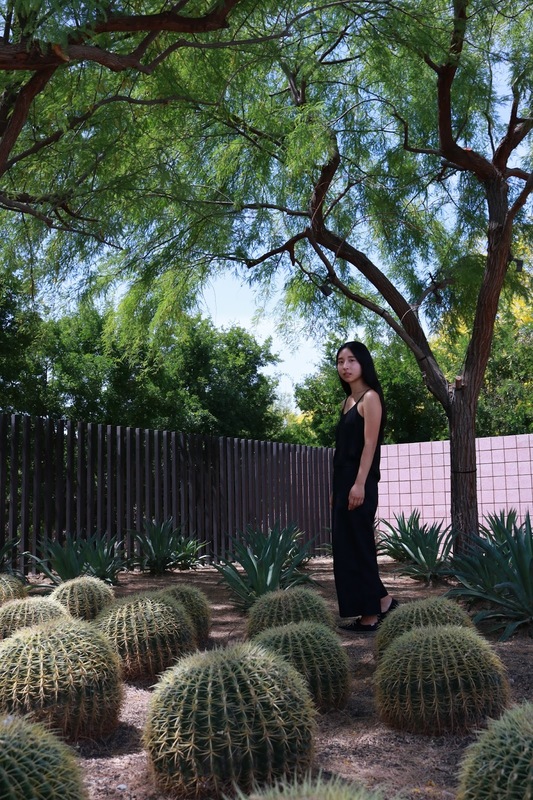 Naturally, I was drawn to this cacti garden and had to take photos here. I love an all black silhouette because it looks chic, put together, and effortless. For my day trip to Palm Springs, I decided to pair this Monki tank top with a pair of linen pants I sewed about a month ago. I know Monki is a fast fashion company, but I purchased this about two years ago and love it to bits. Two years ago was also a time before I knew about how harmful fast fashion companies are. I honestly don't even think I was aware of what fast fashion was. Fast forward to today, I don't even step foot into fast fashion stores, but I do keep the pieces from prior purchases that I love dearly. I feel that by doing so, I am not being wasteful. I don't want this post to be too long so I will speak more about my pants in a later post.